If you love gatte, you have always tried these savory snacks with gram flour (besan). In continuation of my experimentation spree, I went ahead and tried gatte with a blend of besan, suji (semolina), and oats. 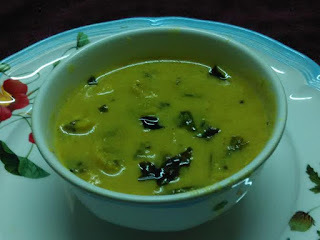 This no onion recipe post is inspired by Ritu Mendiratta's Dahi wale gatte. 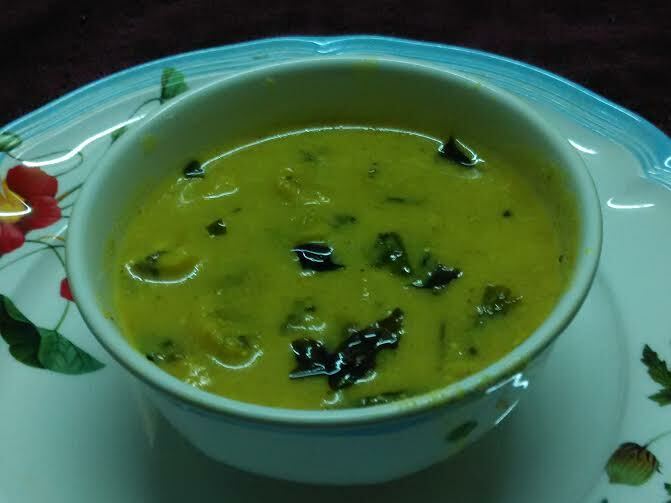 I have used chana sattu (roasted bengal gram) in place of besan or chickpea flour. 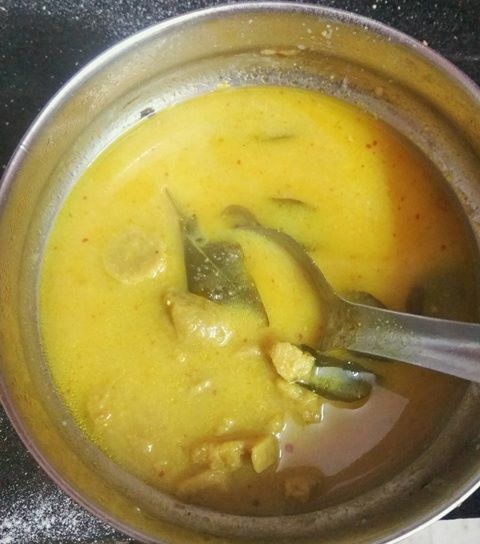 This is the yummiest ever gatte ki sabzi - do give it a try. Mix all the ingredients listed first under gatte. If you need little water, add 1/2-1 tsp of water to make dough. Roll into dough logs (cylindrical). Add 2 cups water to it. Add salt and little oil. Drop in rolled logs of gatte. Take out the gatte logs and cut them into small pieces. Keep this water for gravy. Add the gatte water and curd to a vessel. Whisk all other ingredients listed under gravy. Take a 3-liter pressure cooker. Drop dry red chilly, garlic ginger paste, curry leaves, and hing. Place gatte on top of this masala. Add the remaining whisked ingredients along with salt and turmeric. Enjoy yummiest ever gatte ki sabzi. Here's my previous attempt at gatte ki sabzi - with oats and chickpea flour. Let's make this unique gatte recipe dipped in curd and whey. Add ginger-chilly paste, jeera, coriander leaves, turmeric, salt, and curd. Add 1 tbsp of water to make dough. You may add little more water if required. Cut into two logs or more as desired. Take a pan and add 2 cups of water to it. Drop in 2 pinches of salt, 1 tbsp of curd. Drop the logs into water. Keep it for boiling for 10 minutes. Once done, take out the logs. Let them cool and cut into small pieces. Now let's prepare the curry. Store the boiled water. We will use it for curry. Mix roasted besan with whey and curd. Take a heavy pan or kadahi. Keep it on high flame. Let it reach the smoking point. Next add red chilly whole. Stir and then add ginger-chilly paste. Now add kadhi pata and drop the gatte pieces and fry little. Sprinkle coriander powder. Mix. You would be tempted to taste the gatte at this moment like me. I tasted and loved them. So did not hesitate to offer them to hubby as well. He too loved them. Next add the besan-curd-whey mixture and keep stirring. Keep it on high flame for 5 minutes. Add the boiled gatte water. You may add more water if you so wish. Then lower the flame and let it cook for 10 minutes while stirring intermittently. Check salt and add coriander powder. Garnish with coriander leaves if you want. Enjoy this oats gatte recipe with rice or roti. 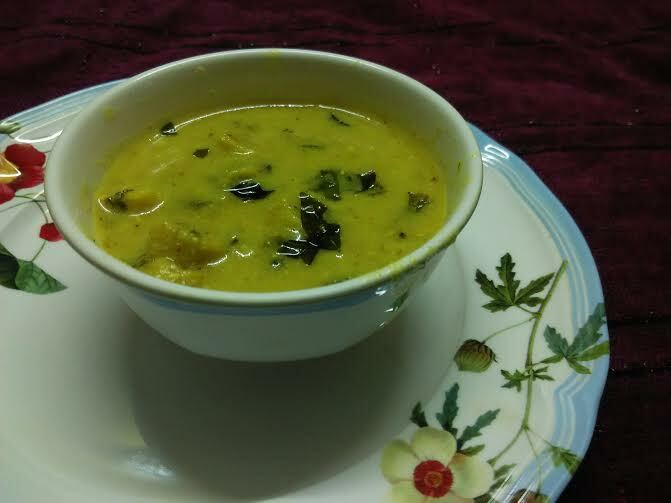 I relished this lip-smacking recipe with both boiled rice and roti. genius. Lovely transformation. I love sattu anyway n gatte out of it sounds yum. This is such a beauty Ritu. Thanks to you for sharing such a yummy recipe.